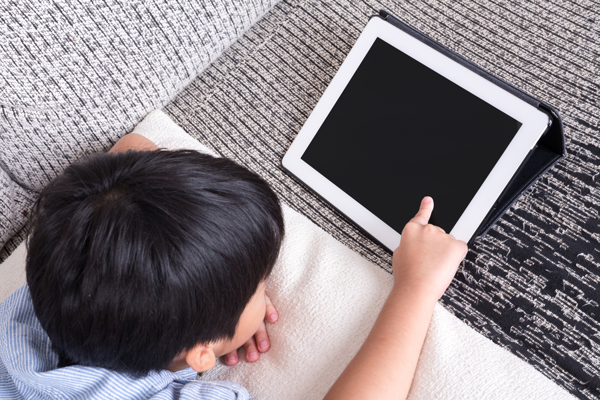 In addition to keeping sensitive information out-of-reach from children, parents should inform kids early on about how easy it is for someone to steal money from them online. Teach children to never give out any personal or financial information to anyone online, even if they are communicating with someone who isn't a stranger. Parents should also check their credit and credit card statements regularly, protect the social security numbers of all family members and use strong passwords. Online predators are still a huge danger to kids surfing the web. A whopping one in five kids has been sexually solicited online and 75% of kids are willing to share personal info online about themselves and their family in exchange for goods and services. We're even seeing tragic cases in which tweens are "sextorted" by being coaxed or blackmailed into sending predators sexually explicit photos or videos. No matter how smart you consider your child to be, inexperience can easily lead to a dangerous digital predator situation. Teach your kids to never chat with strangers online, even if a stranger is accepted as a friend or follower within other friends' social networks. We recommend that you prohibit the use of chat rooms, even the ones that are intended just for kids. Report all online predators here. It is still wise to use parental controls to enforce Internet security while your child is growing up. There are simply certain things which you do not want them to have access to. If they ask you at some point to turn off those controls, then you should think carefully about if that is what you want to do. Always monitor what they are doing online and make sure that they understand the boundaries.